DAVID CROWDER*BAND was a Dove Award-winning six-piece, crafts compelling, inimitably progressive electronic rock. The band began when David Crowder from Texarkana, Texas, realized that almost half of the students at Baylor University were not attending church, which he found surprising since it is a Christian university. He and Chris Seay started University Baptist Church (Waco, Texas, United States) in 1995 while he was still a student. Crowder led worship there and continued to do so throughout the year. The church's congregation grew, as did the band's lineup. ?The one thing non-Christians get perturbed about is that no one is being straightforward with the conversation,? CROWDER explains. ?And that's when they feel like they've been had and go, ?I fell in love with this band and now I find out they're just trying to subvert my thinking.' This project says what it is. It's CHURCH MUSIC and if you're straightforward with it, there's beauty that's available to people who may not profess the same beliefs.? CHURCH MUSIC--the DAVID CROWDER*BAND's fifth studio offering since the solidification of their lineup back in 2000--will hit stores September 22 through EMI's sixstepsrecords/Sparrow Records imprint. The band have easily sold more than one million albums to date including 2007's Remedy, which debuted at #1 on the Christian charts and notched a #22 opening on the Billboard Top 200. ?This one's a monster, man,? CROWDER enthuses, ?and lengthy!? The album's packed with 73 continuous minutes of music, inspired by the likes of Portishead and Sigur R?s. ?It's our stimulus package,? the frontman and occasional Theremin player jokes. ?We're doing our part.? Aptly titled, the band hopes their self-produced recording will prompt listeners to recognize the continual evolvement of music within the Church as well as transport them into an awareness that we exist within the very presence of God, therefore allowing CHURCH MUSIC to happen anywhere. ?I hope this album serves as a reminder of music within the Church, of its richness and its broadness, and the tension that exists in using elements of cultural language to express our collective experience and also still remain a transformative presence that is set apart,? admits band frontman David Crowder. One of CROWDER's favorite selections from CHURCH MUSIC is ?God Almighty, None Compares,? because he loves ?the guitar harmony?the guitarmony, if you will, and shredding is involved, which always makes me smile. It doesn't wind up in our music very often but this song just seemed to beg for it, so we obliged.? For the epic ?Eastern Hymn,? which is the rest of the band's favorite song on the disc, CROWDER commissioned the translation of an ancient Chinese prayer book which he'd found last summer while the band was on the Passion World Tour, and portions of the translated tome appear in the song's chorus. The track ?Oh, Happiness? sounds like it could have sprung from the minds of the MGMT lads and, ?has a lot of sunshine in it,? CROWDER enthuses. Then, you get to the vocoder-heavy title track, which is ?as close to Studio 54 as we could get,? the frontman says with a chuckle. ?We wanted to put a party from Studio 54 on the record and I know its going to be really fun live. That song is sort of our pronouncement that CHURCH MUSIC helps us realign ourselves to some of the more beautiful things about our existence.? The band even tackles a cover on the disc that has to be heard to be believed: Flyleaf's ?All Around Me.? Flyleaf lead singer Lacey Mosely also appears on the album, singing background vocals on various tracks, as well as the Dupree sisters from Eisley. ?The label ?Christian music' doesn't always come with high expectations as far as music is concerned,? CROWDER says. ?When people hear the sonics of this band, it's both confusing and freeing for them. They know where to place you because you're not trying to get away from labeling yourself in a spiritual sort of context. But the words ?Church music' stir up images of good old Americana, and even stodgy music, but if you have encountered our music, you know that there are a lot of cultural and current influences in it, so to put this music with that term does a number of things. It helps people understand what our intent is and it lets people understand that the idea of CHURCH MUSIC is really broad and diverse and to me, that's really exciting.? For those unfamiliar with the DAVID CROWDER*BAND, who was named MSN.com's 2006 Artist of the Year, the group's earliest beginnings trace back to the 1990s when CROWDER left his hometown of Texarkana for Waco, Texas, attended Baylor University, and founded the University Baptist Church. CROWDER--who has authored two books, 2005's Praise Habit: Finding God in Sunsets and Sushi and 2006's Everybody Wants to Go to Heaven, but Nobody Wants to Die or (The Eschatology of Bluegrass)--remains a Waco fixture, where he's still involved with the church's student-saturated congregation. CROWDER expressed interest in music early on, banging away on the family's piano as a child. After a while, the noise started sounding melodious, and CROWDER's mother signed him up for lessons. ?I kicked and screamed the whole time but I?m glad in retrospect,? CROWDER explains. ?And I picked up a guitar in college and couldn't put it down. I've always loved music and it just feels like something I'd be doing, whether it paid the bills or not.? The band may bear Crowder's name, but all six members of the group are involved in the creative process. ?We look at music as a conversation, and so all of us have input and participate in the conversation, and to make room for all six voices, you wind up with lots of layering,? CROWDER says. ?For me, I get bored very easily with music. I like music you can come back to and revisit, where each listen, there's a new discovery. That's been attractive and exciting for us, to try to create things like the stuff we love, stuff that's enjoyable on multiple listens.? Rounded out by guitarists JACK PARKER and MARK WALDORP, bassist MIKE DODSON, drummer JEREMY BUSH and electronic violinist MIKE HOGAN, the DAVID CROWDER*BAND plan to take CHURCH MUSIC on the road this fall. Rather than pack out huge venues like New York's Hammerstein Ballroom and Los Angeles' Wiltern Theatre like they did in 2007 on the band's sold-out, 29-city ?Remedy? Club tour, the boys will be taking a more title-appropriate route, playing mostly churches across the country, furthermore proving that CHURCH MUSIC can happen everywhere from club stages to church pews. ?I think that's what we have had to struggle with, throughout the history of church music, is figuring out how to maintain distance from culture and at the same time, embrace culture and I feel like when the church's music has been most effective in expressing that experience has been when it has embraced popular art within culture, and that's what we're attempting to do here,? says CROWDER. ?I really think music is one of those unique things that we have in the material world that lets us get a glimpse that there might be something bigger.? On May 21, 2011, the band announced that their sixth album would be their last. The band felt that they were unable to plan anything past their sixth album. They will tour with Gungor, John Mark McMillan and Chris August for their farewell tour, with their final show at Passion 2012. 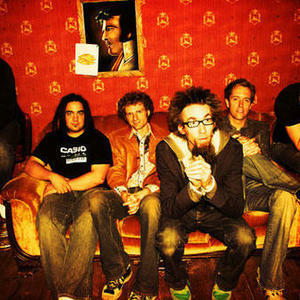 The Let Me Feel You Shine Songfacts reports that on January 10, 2012, Contemporary Worship group The David Crowder Band released their sixth and last album Give Us Rest, a double-disc, 34-track requiem mass. It was released a week after the band played their final show at the Passion 2012 Conference on January 3, 2012 at the Georgia Dome.